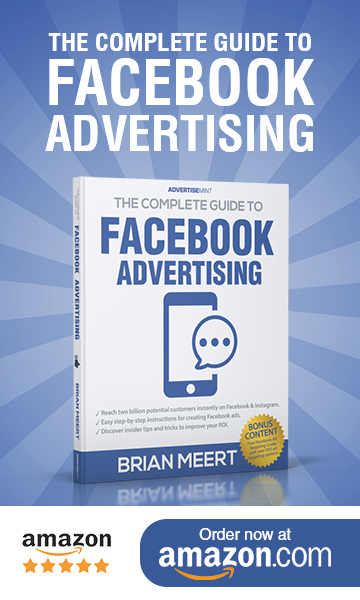 You should advertise on Facebook for its large user base, affordability, and exceptional ad targeting options. Currently, Facebook has 1.18 billion daily active users—that’s 1.18 billion potential customers. To reach the right individual likely to convert, Facebook uses its sophisticated ad targeting tools that allows you to target a specific person using Facebook’s over 850 targeting options. With Facebook targeting, you can serve ads to people according to demographics, connections, interests, custom audiences, and behaviors. You don’t need $100 billion to advertise on Facebook. In fact, you can set any budget you want. If you want to spend $10 per day, you can. If you want to spend 100 a day, you can also do that. You should hire an agency because it’s comprised of experts—experts in ad creatives, experts in digital marketing strategies, experts in Facebook ads. Hiring an expert team means your ROIs will soar, your ad targeting will strengthen, and your creatives will be better. You should especially hire an agency if you have no time and no knowledge in managing Facebook ads and analyzing its data. Unlike traditional advertising such as radio, TV, billboard, direct mail, and print advertising, Facebook advertising lets you target your ideal audience anytime, anywhere, in any country and on any device. You can target an audience according to their demographics, connections, interests, custom audiences, and behaviors. You can serve them ads on their desktops or on their phones. You can serve them ads on certain mobile apps that are part of Facebook’s Audience Network. Additionally, with Facebook advertising, you have full control of your budget. Want to spend $10 per day? You can. Want to spend $100 a day? You can do that too. How much does it cost to hire AdvertiseMint? Level 1: If you spend $5,000-15,000 a month, you will be charged a 30% agency rate. Level 2: If you spend $15,000-50,000 a month, you will be charged a 15% agency rate. Level 3: If you spend $50,000-$250,000 a month, you will be charged a 10% agency rate. Level 4: If you spend more than $250,000 a month you will be charged a 5% agency rate. However, you can also hire AdvertiseMint for consultation for $200 an hour. You can display ads on Facebook mobile news feed, desktop news feed, right column, Audience Network, Instant Articles, Messenger App, and Instagram. We can help you determine which one works best for your products and services. For more information on placements, read A Guide to Facebook’s Ad Placements. What is the typical process with AdvertiseMint once we get started? Once you signed the agreement form and submitted your application, your account manager will contact you via email. You will hear from your account manager within one business day. Afterward, your account manager will set up your account, do a Pixel audit, ask for your list of customers, and set up your campaign. Why should I work with AdvertiseMint instead of its competitors? Unlike other Facebook advertising agencies, AdvertiseMint doesn’t charge a set-up fee, and we offer simple month-to-month contracts, advanced technology, and expertise. How do I get started with AdvertiseMint? To get started, you must first complete the 8-step application process. You will answer a questionnaire, sign an agreement, and give AdvertiseMint ad account, business/fan page, Google Analytics, and mobile app access. Afterward, AdvertiseMint will reach out to you.